Having never been to the Philharmonic Hall Music Room before, we are both surprised and a little underwhelmed. As a space it has the finest sound and light of just about any room in the city, hell it was built for it. It also appears to be a dead zone for mobile reception and for that we will be forever thankful. Our Ione gripe is that as a space it’s a little void of atmosphere, yes it’s clearly about the music but sometimes it feels as if is verging on operating theatre territory. (Still, unlike some others we could mention it sells a decent pint.) Two things spring to mind, we decided you were supposed to bring your own scrubs and needed to pick the right act. As a standing gig, such as this evening it’s okay, we wonder if as a seated gig the place might need a lectern and a projector for the PowerPoint presentation. Still, the sound makes up for it. Hannah Fisher and Sorren Maclean are first on. We are regaled with a story of what sounds like an epic nine hour journey and a very short, rushed soundcheck. You wouldn’t tell from their set, the sure sign of an act that knows their business. The crew at the Philharmonic seem to have stood up to the challenge well considering most punters were queued outside long after the doors were due to open. Hailing from the Isle of Mull Hannah and Sorren deliver beautiful Celtic-tinged ballads and stories layered in life, love and big questions that remain unanswered. The Watch is a song reminiscent of a gentle walk in the park, layered with sweet melodies and loads of charm. There Comes a Time ratchets it up a notch, it is filled with joy and deserves a few set dancers up the front; it’s a foot stamper if ever there was one. Their final track sees them swerve into Americana, Po’ Girl-esque territory, which appears to confuse the soundman, while singing through one mic also brings a more rustic tone to proceedings. And it’s beautiful, it’s also a massive hit in what looks like a sold out room. Confused soundman or not. It has been a while since Roddy Woomble has travelled through Liverpool, on this occasion he is joined on stage by Hannah, Sorren, a drummer and two guitarists. Again, the sound is utterly faultless, with just enough of everything in the mix. The violin brings the Celtic tones, the rest bring the guts of it. The harmonies are pitch perfect, the bass and drums drive a stake through the heart and Woomble‘s voice is gritty enough to deliver material that deserves to soaked in whisky by a roaring fire. He is a consummate professional, a man who seems at home away from the Idlewild moniker. He is completely at ease, the band seem very together, there isn’t a single beat missed. 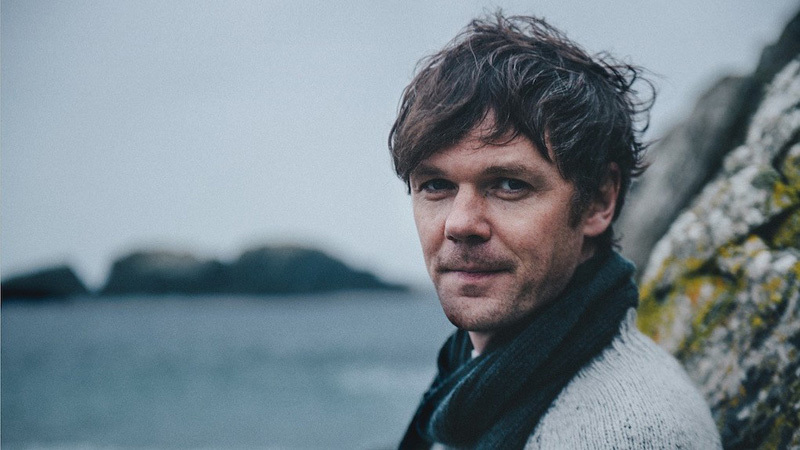 Woomble steps aside when there’s no vocal involved, giving complete respect to his musicians. A favourite track of ours, Across the wall, is driven by a relentless bass, a thump from the kick and enough passion to move even the most statuesque. Telling the tale of a man desperately wanting to change his life, My Secret is My Silence was released in 2006 and, at the height of Idlewild’s fame, never got the tour it deserved. Without breaking any new ground, this is endearing, engaging, stirring stuff. Woomble reckons Liverpool reminds him of Glasgow, this raises a gentle round of applause which is cut short by a quip by Sorren suggesting that he’d said the same thing the previous night in Norwich. His response is perfect, it was Norwich. Between songs he paces around the stage, seemingly checking everyone is okay, not quite in Mark E Smith territory of amp bothering, he appears completely at home, calm, collected and comfortable in his skin. These songs, like many solo projects, appear more autobiographical, the tales coming from within. We were at a show a few days ago in London where the singer, Bronagh Gallagher, compared the creation of her third solo record to giving birth. This thing that stirred within for months and then is finally delivered over a few painful days. It needs weeks of close attention to let it find its own feet, and we are reminded of that conversation tonight. Woomble, to us at any rate, staggers a line somewhere between St Christopher’s Medal (who you should check out) and Tired Pony. Music that comes from Celtic lands tends to be focused on the inner self, community, family. It is soulful, heartfelt and awash with miles and miles of travel. It’s the kind of record best listened to on long train rides. Or long drives from Norwich. Bar the few chatterboxes at the back we had a very fine evening, a pint and some tunes that reminded us of home. Woomble didn’t have to work too hard to win over an adoring crowd though he seemed frequently surprised and humbled by their response. The encore is big, brassy and generates enough wobble in the floor to make the room feel like there’s a proper gig going on. Lovely stuff. If we were to suggest anything to change the atmosphere for this evening we’d go with The Rolling Stones. Paint it black.